Demands on our busy lives mean that most of us only have time for a quick shower. Imagine a long soak in a bath with your favorite “soap”. A tv in the bathroom,positioned at the foot of the bath, adds an extra luxury in the home that you may only find in a 4 star hotel, or in the movies. 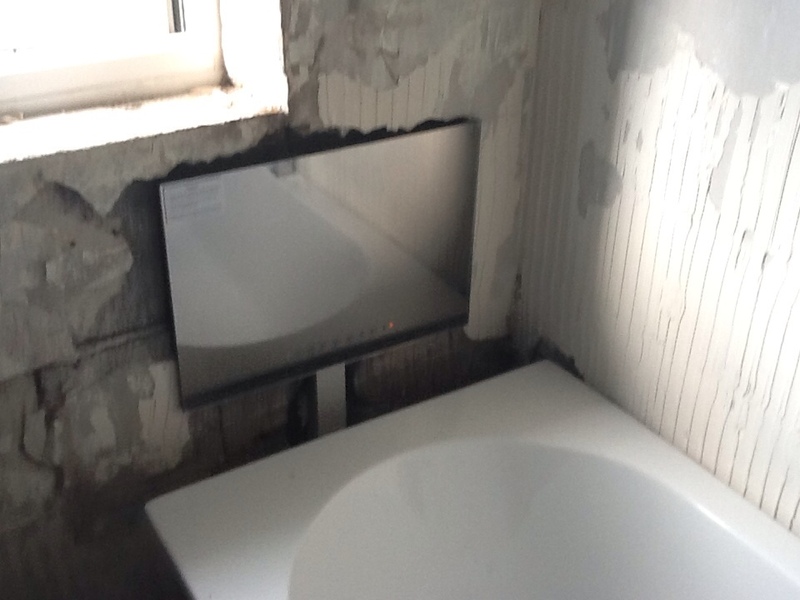 At michael lowe bathrooms a TV in the bathroom is an affordable option. As you can see from the photo above the TV back box has to be let in to the block work first. Here is the TV fitted and connected via leads provided. Atached through some trunking fixed to the block work. 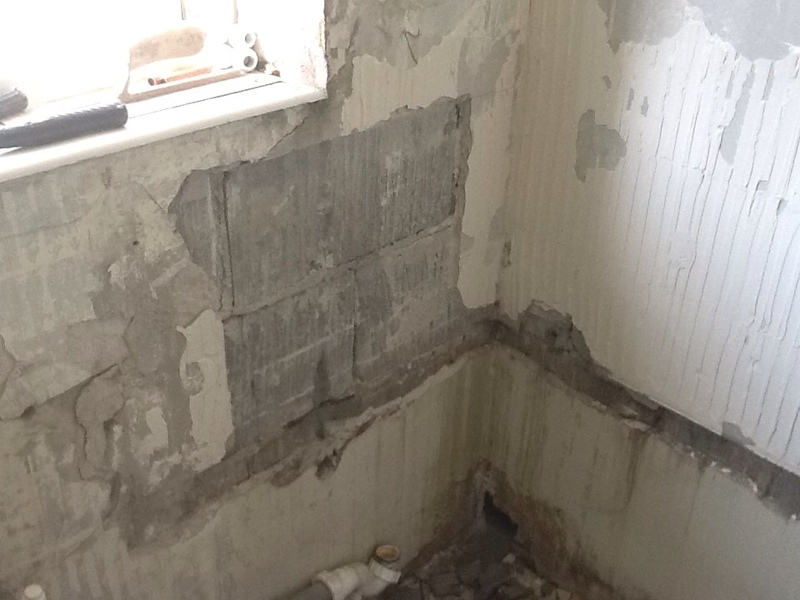 Further details and photos will follow as the work progresses. Above is a bathroom fitted with a double bath and larger Flat screen TV. 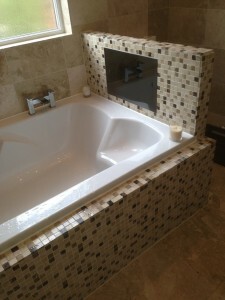 The bath panel and upstand have been tiled with mosaic tiles as an extra feature. If you want some free advice or you have any questions, please feel free to leave them in the comments box and I will reply as soon as possible.